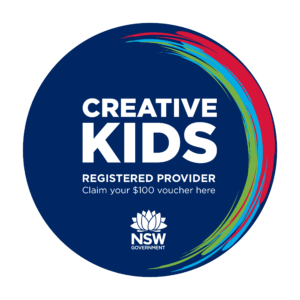 Who can get one: Children age 4.5 yrs + who are enrolled in a school and live in NSW. Eligibility for the vouchers is not income tested. What’s next: Within 5 business days, we’ll add a $100 credit to your account. You need to be ENROLLED in a class for this to happen. This credit will be applied to your membership fees every month until used up. To check that the credit has been applied to your account, login to the client portal.